Blazing mad you can't start a fire? 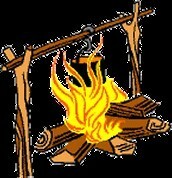 Maybe you are having a bonfire, or you are camping, or maybe you are stranded on an island with limited resources. 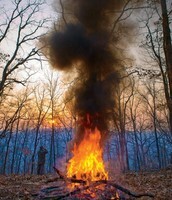 Either way, this fire will teach you how to start a fire with or without matches and how to safely put it out. Fire is one the greatest resources you can have. Not only does fire help keep you warm, or give a little light to the dark night...but it can be used in many more situations. 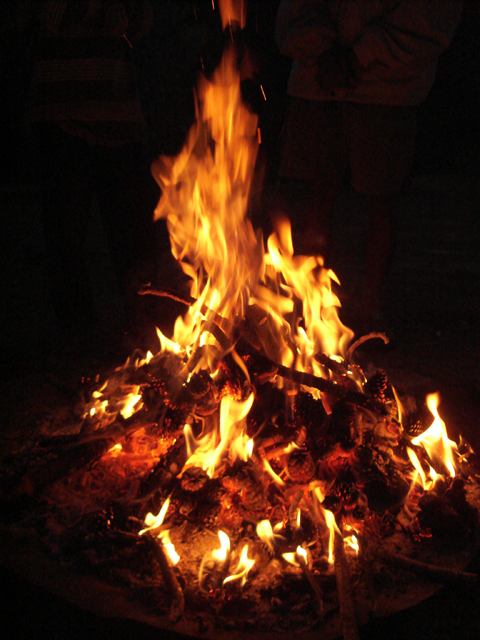 Fire can help cook food and purify water, it can also help heat and dry wet clothes, and even help send rescue signals due to the smoke. So as you can see, it is a very important aspect of any dangerous situation you might be put in. How to start a fire! Before you even start using fire as a resource you sort of need a flame going. Of course to start off by gathering small logs and twigs. This is called tinder and kindling. Next, you're going to want to light the kindling with a match, and every couple of hours add kindling in to the fire to keep it going. Obviously if you are stuck with no matches or a lighter you will need other options. 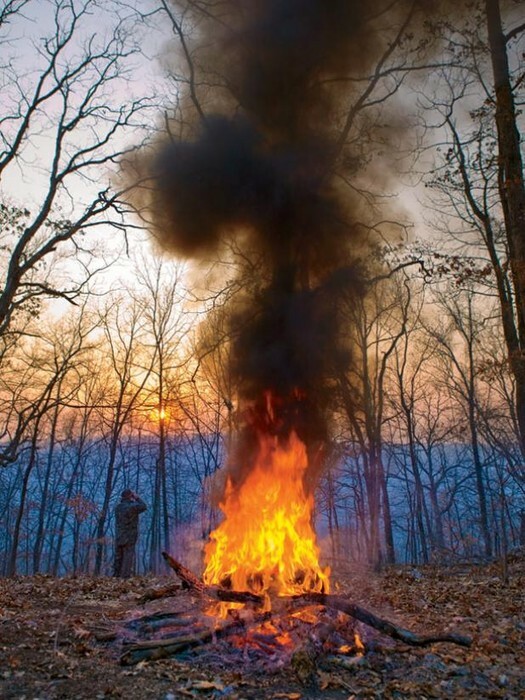 Surprisingly, you only need few resources to start a fire. With a binocular or glasses lens, you will want to magnify the sun to create a small hot spot. You want to place the lens about a foot away from the tinder, and angle it towards your pile of wood having the sun concentrate in the wood. The tinder should smolder, and this is when you want to blow on the tinder which will cause it to ignite giving you a fire. If you are stranded from a wreckage with an automobile, plane, boat, etc. there has got to be an engine around. You can use this to your advantage by using wire and attaching it to the battery terminal. This will create a spark again, causing the tinder to smolder. Once you blow on it you will have fire. 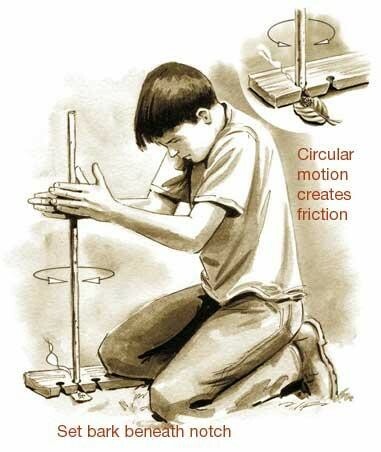 First you will want to gather a flat piece of wood to serve as a fireboard, and you will want to carve a spindle out of a branch if you cannot find a perfectly circular branch. You will also want to get a piece of tree bark or a leave to catch the embers once you have created them. After you get all of these things all set you will want to cut a v-shaped notch in the board with a knife or sharp rock you might have. Next you will want to place the piece of bark or leave under the fireboard. After, you shoud place the spindle in the depression you should make adjacent to the notch and roll it through your hands with speed. This should create the ember you need. Tap the fireboard to transfer the ember to your piece of bark and place it in your tinder. Blow on it and you will have the fire you need. Congrats! 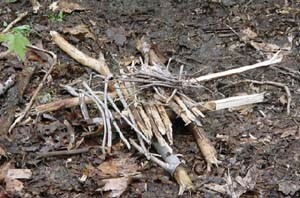 Now you know how to make fire with little resources, some you can even find in the woods! 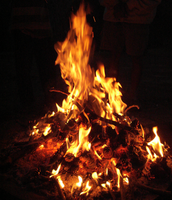 Although these options of fire-making may take lots of practice and are pretty tedious, you will know how to create fire in a life threatening situation and that is all that matters.